A recent 270-page report put out by The Board of Trustees of the Federal Old-Age and Survivors Insurance and Federal Disability Insurance Trust Funds is shedding light on an alarming trend. In it, the financial data indicates that both Medicare and Social Security could start “riding off into the sunset” sometime within the next two decades. 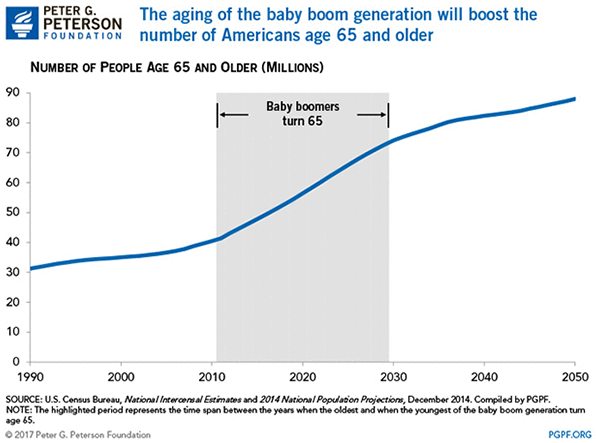 This is mainly due to the addition of millions of retirees aged 65 and older and reducing the average number of taxpayers that support each retiree on Medicare and Social Security. The financial pressure on the system may bankrupt it in the near future. To pay out all of a financial benefit at 100% of the level promised, then 100% of the funds needed to make the payments must be available. But with this “burn the candle at both ends” trend, you have more people needing benefits, and fewer people per beneficiary paying into the benefits program. You don’t have to be an economist to see there will be intense financial pressure on both the Social Security and Medicare systems for decades. And the Trustees report indicates that financial pressure may deal a big blow initially, followed by a fairly quick collapse of both systems. Plus, this “big blow” may result in short-changing retirees and increasing taxes on taxpayers in a desperate “Hail Mary” to save both programs. The report from program trustees says Medicare will become insolvent in 2026 — three years earlier than previously forecast. This means that projected inpatient medical bills very likely won’t be covered in full within the next 8 years. So while the program is already strained — as it has been for decades — this may very well represent the beginning of the end. And any economic door that closes faster, will slam shut harder. Without that trust fund, hospital benefits would face steeper and steeper cuts, starting at 9% in 2026 and growing to 22% in 2040. Other parts of Medicare face similar budgetary challenges. If retirees on a strict budget (and with little in savings) have to pay more out of pocket for hospital costs they desperately need, there is big trouble on the horizon. Their income isn’t rising fast enough to account for the difference, and short of a miracle, Medicare’s problems are only going to get worse. Now couple that with the real possibility of an upcoming pay cut. 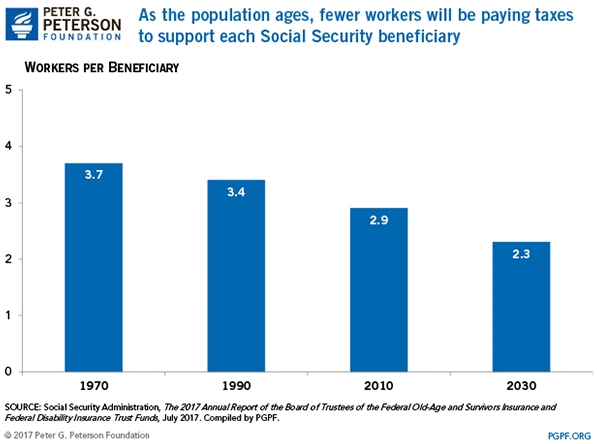 Big 25% Reduction in Social Security by 2034? While there has always been a history of criticism that paints doomsday scenarios for Social Security which don’t pan out, the reality outlined today won’t likely be escaped. 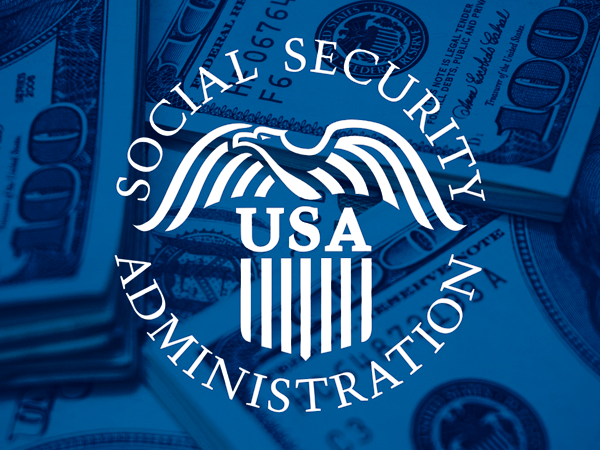 The Social Security Trust Fund has started to shrink, with tax revenues and interest no longer covering the annual cost of benefits to about 62 million Americans. By 2034, the trustees estimate, it will be gone, forcing benefits to be cut by nearly one quarter. If you were being paid $2000 per month in Social Security, the dire reality explained by the L.A. Times report means your personal budget would be cut by $500 each month. And the Trustees warn that we need to act now in order to have any hope of solving this problem. Plus, other political debates in the healthcare and tax categories have stifled necessary discussion needed to get down to the bottom of this dilemma. In 2017, Congress announced plans to deal with this Medicare and Social Security shortfall in hopes they can keep the system “liquid” enough to continue. Those options, though unpopular, would include reducing benefits, increasing the age at which folks could qualify for benefits or boosting the cap for payments to Social Security. Less popular options include means testing to receive benefits, increasing the percentages withheld on wages during employment or increasing the taxable portion of benefits. And like usual, it’s more of the same “passing the buck” instead of actually solving the underlying problem. Congress will talk a good game, but then the game never ends. Furthermore, this is all “too little, too late” for Social Security and Medicare. Granted, the collapse of both won’t happen overnight, but it’s fairly obvious where it’s all headed. So don’t wait until the last minute to make your portfolio resilient. Hedge your bets now, because it sure seems likely that you won’t be able to rely on the Government in retirement.